It's not the server -- it's the system. That's the word from Cisco as it rolls out its new, M5 generation Unified Computing System rack and blade servers, triggered by Intel's release of the Xeon Scalable Processor platform. Cisco's new servers use the Xeon Scalable processors -- unveiled Tuesday in New York -- to fuel performance as well as increase server density and throughput. But the value in the UCS product family lies in how the hardware works with configuration management and optimization software to make data centers run at peak efficiency, company officials say. Competitors in the data center market would likely agree with that system concept, but Cisco says it has the software and hardware now to start delivering on the promise of "intent-based" data center management. The idea is that data center managers define usage policies and the desired state of the network and servers; then, software automatically balances and reconfigures resources to get to that desired, optimal state. "UCS isn't about the individual components -- it's not about the switching or the server or the components therein; it's really about how we bring a total system to customers," said Todd Brannon, marketing director for unified computing at Cisco. "It's a system and not a server; our customers can build on top of all the things that we've done to abstract all the underlying infrastructure elements so the switching, the servers, all the different pieces can be controlled by customers through software." Many of the new capabilities in the M5 line come from the Xeon processors, which are being picked up by other server makers. This is one reason why Cisco is stressing software capabilities as a differentiator. "Given that the server market has reached a level of maturity, many product refreshes are a big yawn, so (server makers) try to differentiate themselves in different ways," said Ashish Nadkarni, an analyst with IDC. "Cisco is focusing on their installed base, which is all mission critical workloads, and sort of saying look, we've enhanced our line to make it even more appealing for mission critical workloads and our leadership position in integrated infrastructure speaks for itself." Along with two new blade and three new rack servers, Cisco is updating its UCS Director data center management software and offering something new: a Workload Optimization Manager. The technology behind the optimization manager comes from Turbonomic, with which Cisco has entered into an OEM agreement. 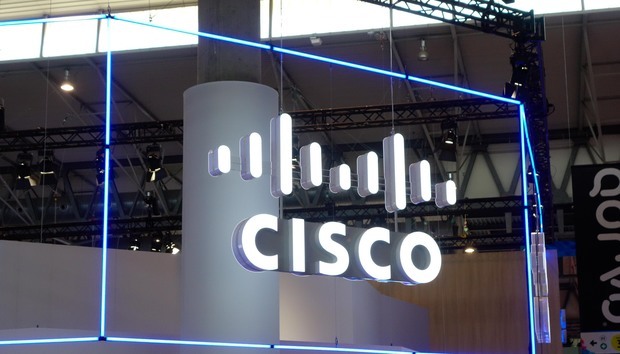 Cisco discovered the benefits of Turbonomic software itself, saving $17 million in additional equipment costs and $2.8 million every month in rental costs for space, said Joann Starke, senior manager for hybrid cloud and machine learning at Cisco. The optimization manager uses intent-based analytics based on principles of supply, demand and price to match workloads to available infrastructure. "Data centers have become so complex that you need to have software in control and automatically -- autonomically, as it's called -- making changes in real time," in order to maintain a state of peak efficiency, Starke said. Otherwise, by the time a human responds to an alert that a system is degrading, money can be lost, especially if it involves a revenue-generating website, for example. The optimization manager assures workload performance "because it's looking at a deep level of inspection from the application layer all the way down to the chassis, allowing data centers to increase workload density by getting maximum utiilization out of what they have," Starke said. "We all know that there are a lot of idle VMs out there with a lot of stuff attached to it, and it's just sitting there." Cisco is billing the M5 series as a nondisruptive refresh of its UCS servers, and the optimization manager can play a part in smoothing the way for data center upgrades to the new line, Starke said. It does this by performing a type of what-if analysis on different workload scenarios, suggesting, for example, how a data center could save operational costs by moving to new servers. The opimization manager does not do the actual provisioning -- that work is done by the the UCS Director. Version 6.5 has been updated to work with the optimization manager. Cisco claims that the Director can provision, configure and automate 80 percent of data center operations from a single console. The new version has been extended to be able to natively automate functions of PowerShell, an object-oriented task automation and configuration management framework from Microsoft, as well as virtual machine mobility across VMware vCenter data centers. --The UCS C220 M5 Rack Server, a general-purpose enterprise infrastructure and applications server with 56 cores (via multiple Xeon Scalable processors), 24 DIMM sockets and support for 10Gb LOM (Lights Out Management) systems and M.2 format internally mounted expansion cards. --The UCS C240 M5 Rack Server, optimized for storage and I/O, offering 56 cores, up to six PCIe 3.0 slots, up to 3TB memory, and support for 10Gb LOM systems as well as M.2 cards. --The UCS C480 M5 4S Rack Server, for applications including in-memory databases, offering 112 cores, up to 6TB addressable memory and supporting up to six GPUs, 12 PCIe 3.0 slots and 32 drives. --The UCS B200 M5 Blade Server, offering a half-width blade form factor for traditional or multitier applications, supporting up to two GPUs and offering up to 20.5TB of storage. --The UCS B480 M5 Blade server, intended for versatility and density for tasks such as distributed database virtualized workloads. It offers 56 cores, up to four modular GPUs and up to 39TB of storage. Available recommended retail starting prices include $3,680 for the B200 M5; $3,165 for the C220 M5, and $3,328 for the C240 M5.